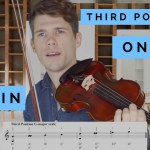 Learning Vibrato on the Violin is a milestone for every violinist! 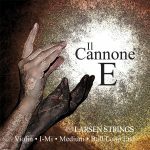 How do you get a good sounding vibrato on the violin? 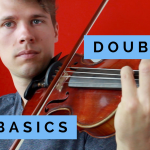 In the video I show you my best exercises to learn vibrato on the violin fast. These exercises free your movements of the left hand and strengthen your fingers. At the same time they make your fingers more flexible. Do them regularly and I will guarantee you success! 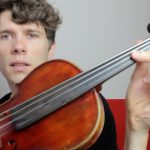 When is the best time to start with vibrato on the violin? 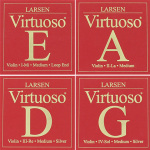 Usually the best time is, when you really feel the STRONG DESIRE to learn vibrato on the violin. Because only with a strong desire and days after days of practice and experimentation you will be able to handle all the setbacks and overcome the obstacles mentally and physically. At first make sure, that your VIOLIN HOLD is proper. The second step is to warm up the bow with good exercises, so that a STRONG AND FULL SOUND is given. 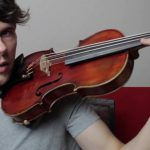 Only with a good sound from the bow, the vibrato comes out easily. Start with the exercises and do them regularly in small doses, so that you do not get tired. Always keep in mind to have all fingers ready to play. Don’t lift them awkwardly or bend them under the neck of the violin. The fingers of the left hand should always be slightly rounded and as close to the string as possible! Good Luck and let me know, if you had success!